GET READY! GET READY! 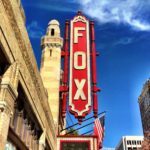 To attend IFMA Atlanta’s first quarterly luncheon at the Fabulous Fox Theater on Wednesday, August 15, 2018 at 12:30pm. We have a wonderful lunch experience planned just for our FMs and Associate Members. We will start with a tasty lunch while being educated on the In’s & Out’s of the newly renovated Marquee Club at the Fox Theate. Finally, you will have the option to tour this beautiful edifice…The Marquee Club. Note: CEU credits will be available. If you would prefer a vegetarian plate please indicate your preference in the comments box below. Remember…The first 20 FMs that sign up will be sponsored by Yellowstone Landscape.